NASA astronomers this week announced its Kepler mission has found an incredible 715 new worlds, suggesting there are many multiple-planet solar systems much like our own. These planets were spotted using a new verification technique from two years’ worth of data collected by Kepler; astronomers surmised that the planets orbit 305 stars. Up top is an artist’s concept depicting multiple-transiting planet systems. The discovery is significant because most of the 715 planets were smaller than Neptune (which itself is about four times the size of Earth), revealing to scientists there are many more small-sized planets similar to Earth than previously thought. “That these new planets and solar systems look somewhat like our own portends a great future,” said John Grunsfeld, associate administrator for NASA’s Science Mission Directorate in Washington D.C.
Identifying planets used to be a difficult and long process, but astronomers today say its new statistical technique can be applied to many planets at once, rather than looking at it from a planet-by-planet basis. To reach the 715 figure announced by NASA, planetary scientists analyzed stars with more than one potential planet using verification by multiplicity, which simply takes into account the “logic of probability.” In this instance, scientists sifted through 150,000 stars found by Kepler, and noticed that hundreds of them had multiple planet candidates. 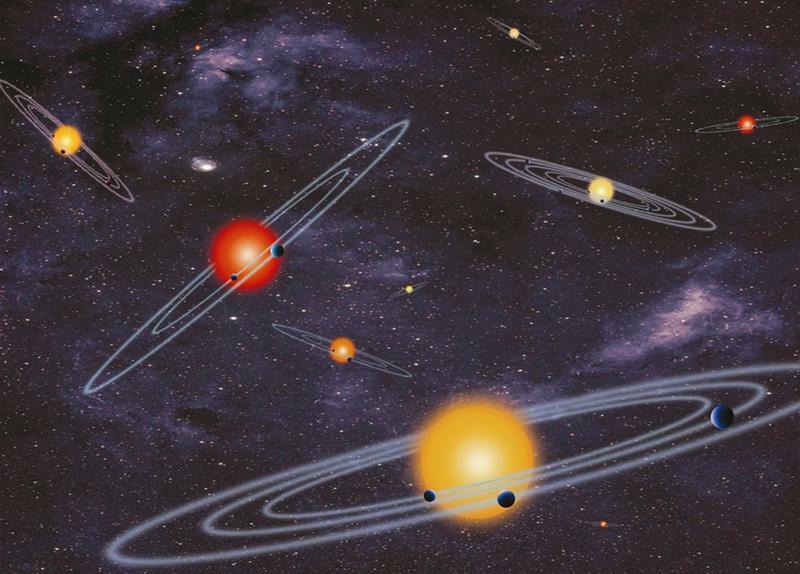 “Through a careful study of this sample, these 715 new planets were verified,” Astronomy wrote. Like previous Kepler research, the information will help scientists learn about planet formation, including “the configuration of planetary neighborhoods. So far, four of the planets are considered to be in that desirable habitable zone, where worlds are considered to be suitable for potential life. Many of the planets discovered by Kepler are said to have orbits that are flat and circular, like a pancake,” said Jason Rowe, another research scientist. As noted by Astronomy, the latest discovery brings the confirmed count of planets outside our solar system to almost 1,700.